As research shows that more homeowners plan to stay in their homes into the aging process, manufacturers are stepping up to provide good-looking, accessible products that will help these individuals age in place. Industry experts are feeling this shift, too. Mary Jo Peterson, CKD, CBD, has been creating universally designed kitchen and baths for more than 25 years at her eponymous firm in Brookfield, Conn., and has been heartened to see the concept catching on. She believes there are a number of reasons for the current rise in universal design. “The obvious thing of course is the Baby Boomers moving into a time of life when they don't want to be any less than they've ever been but it would help to have some support in their homes,” Peterson explains. The other reason for the shift? Peterson says the Millennial mentality is changing the way we think about accessibility. It doesn’t hurt that today’s accessible products are good looking, in addition to being functional. 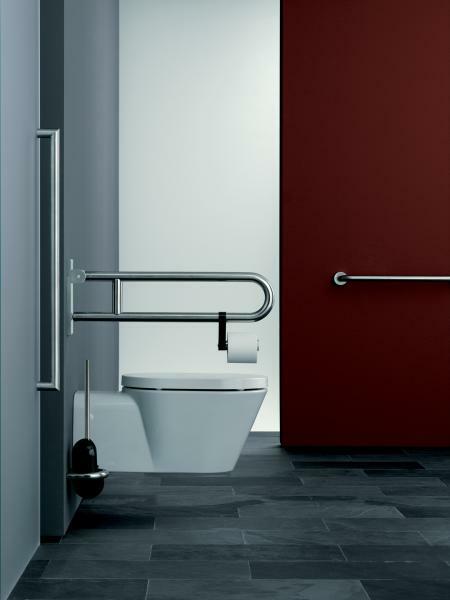 The stigma associated with stereotypically sterile, hospital-style elements such as grab bars have made way for sleek, subtly designed accessible products with conveniences that can appeal to anyone, regardless of ability. An added benefit of this movement is that the philosophy of universal design makes homes more convenient for everyone, not just those with disabilities or mobility limitations. It’s not surprising that designers tend to primarily focus on universal design in the kitchen and bath, since, as Peterson puts it, in those rooms we “have jobs to do, so these considerations become even more important.” A hard-to-reach appliance or fixture can easily become an prohibitive obstacle for those with limited mobility. The products and design in these two rooms require extra attention to ensure that everyone in the home can access them. In the kitchen, Grant says one of his go-to universal design tricks are multi-level islands that allow for both traditional countertop and table surface heights. In addition to providing counter access for those seated in wheelchairs, the table portion can also serve as a family breakfast table. Cabinet doors, as well as entry doors, more often feature handles instead of knob pulls, which are easier to grasp for someone with arthritis or other mobility limitations. Pocket door and barn door designs ensure that entryways are clear for individuals with mobility aids, such as walkers or wheelchairs. In the bath, curbless showers and sleek, modern versions of the grab bar are universal design essentials. Also on the rise are things like touch faucets, bidet toilets, and motion sensor lighting, all of which help individuals maintain independence. See below for 13 products that will add universal design elements to your next home. In addition to drawered cabinetry, the presence of appliance drawers is also on the rise. 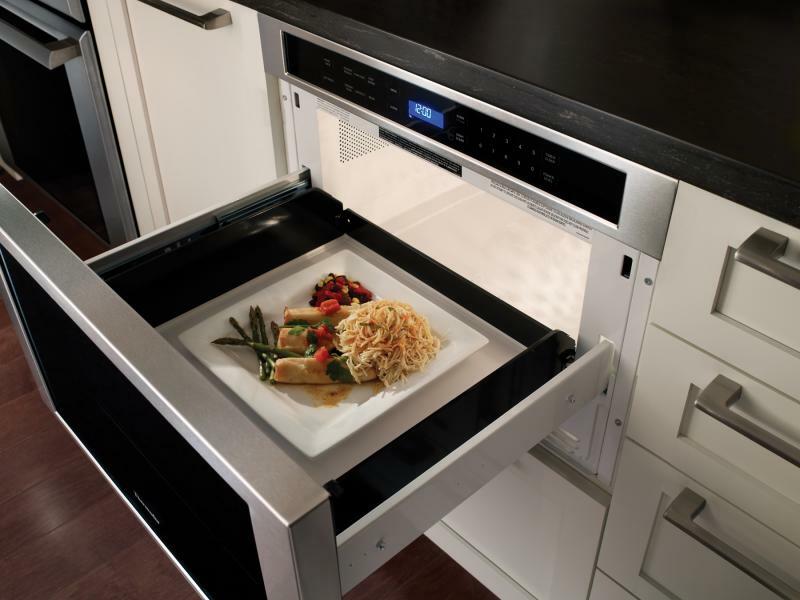 The 30-inch built-in MicroDrawer from Thermador features 950 watts of power and can accomodate a 13-by-9-inch pan. It is also available in a 24-inch size. Dishwasher drawers keep walkways clear and prevent users from having to bend down to load and unload. 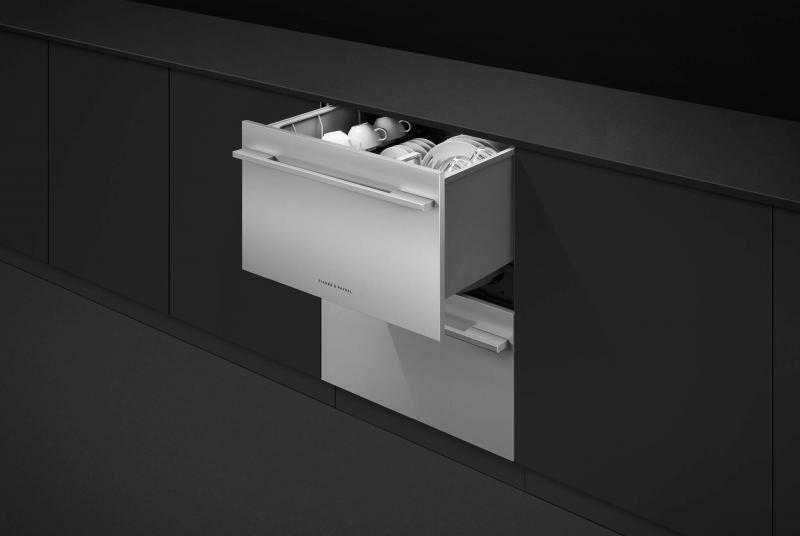 The DishDrawer from Fisher & Paykel is available in ADA-compliant models and black, white, or stainless steel finishes. Drawers can be run separately to accommodate for smaller loads. Monogram’s new line of freezer and refrigerator columns give homeowners the opportunity to mix-and-match size and panel design. Accent lighting ensures that all items are visible, and an antimicrobial nano-coating on shelves cause spills to bead, not spread, for easy cleanup, the company says. Connected features can notify the user when a door has been left open. Peterson says she looks for “flexibility in appliances... the functional part of the appliance is accessible from a variety of heights.” For refrigeration, this means “a refrigerator that has some refrigeration and some freezer at many heights,” like in a side-by-side unit or column. The single-handle pull-down faucet in Brizo’s Artesso line comes with optional touch option that allows it to be activated by a touch anywhere on the faucet body, handle or articulating arm. It also features an LED light that indicates the faucet’s water temperature. Inspired by early 20th century metal works, the collection is available in polished chrome, Brilliance stainless, Venetian Bronze, Brilliance polished nickel, and Brilliance Luxe Gold finishes. 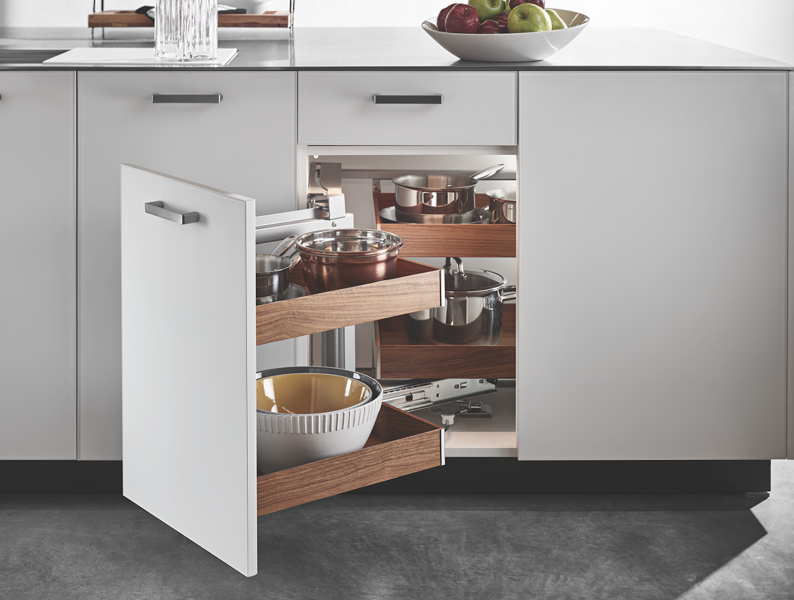 Part of the company’s Fineline collection of cabinetry accessories, the Magic Corner option from Hafele gives users the ability to pull awkward corner storage within reach. The unit features a soft-closing door and is available with champagne or silver metal and five wood options. 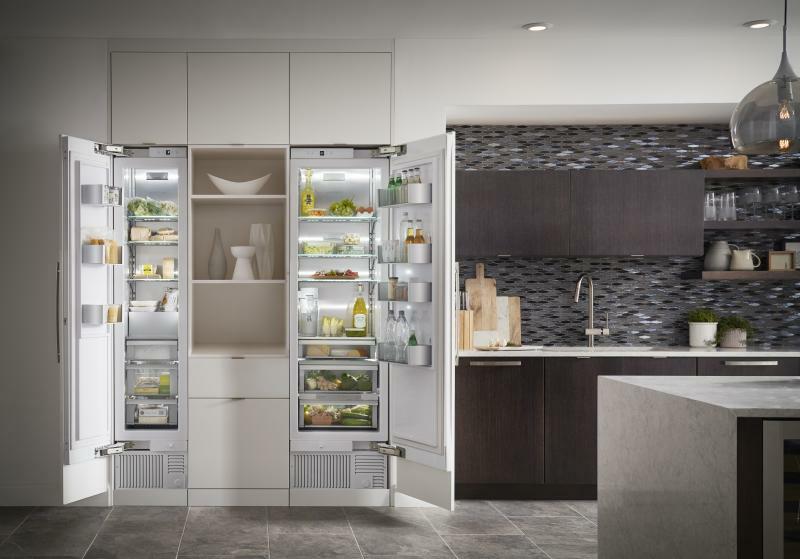 “Our products help make things stored in the kitchen more accessible, provide needed visibility through well-placed LED lights and add to the overall beauty of design,” says Daniel Tripp, Hafele’s kitchen category manager of the company’s universal design philosophy. “I love the Legrand Under Cabinet Lighting system,” says Cini. 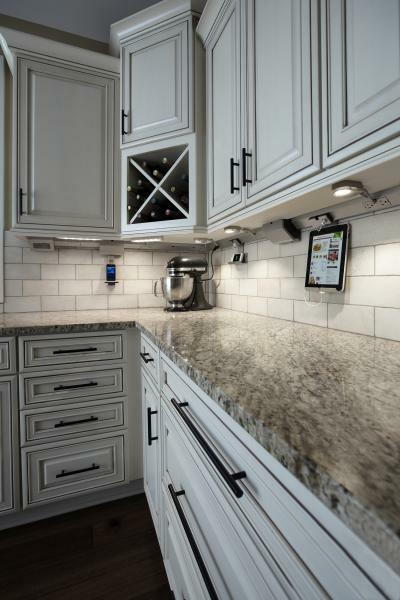 “It is a plug and play for your appliances and tablets while keeping the countertop and backsplash clear.” Cini, Peterson, and Grant agree that a smart lighting system can do wonders for convenience and accessibility. Motion sensor lighting can allow for worry-free nightly trips to the bathroom and smartphone and voice control allows for light even when switches are out of reach. In addition to the cabinet system, the Legrand adorne collection includes motion sensor switches, under cabinet lighting, Wi-Fi control, and more. All Legrand products can be connected via the Legrand Hub. Distributed in the U.S. by Hafele, Hewi is a German manufacturer of grab bars and bath accessories. It can be folded up and flat against the wall to save space, or outfitted with a toilet paper holder to disguise its function as a grab bar. The stainless steel bar is available in many colors. 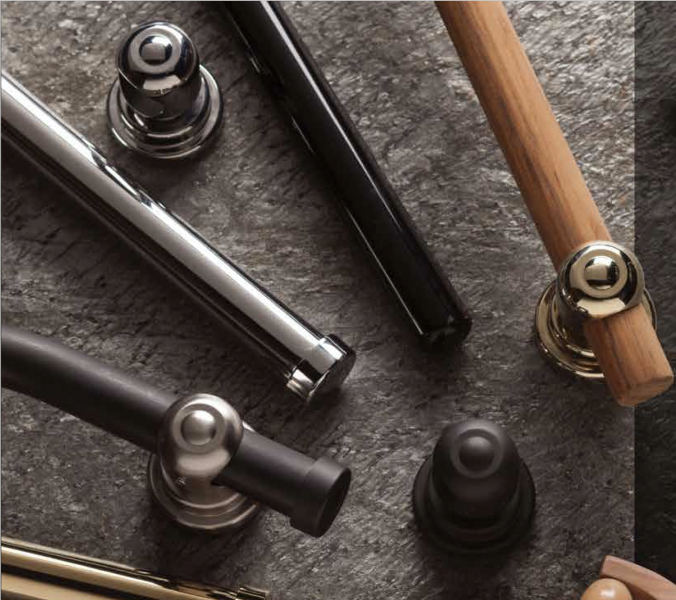 The grab bar manufacturer, a subsidiary of CSI Bathware, features the Signature Series which allows homeowners to mix and match finishes, bars, and bar mounts for a custom look. Metal, wood, and acrylic options are available, and most configurations are ADA approved. The manufacturer features a number of vanities that are ADA-compliant with space for a seat or wheelchair. The Brittany vanity comes with soft-close drawer glides and hinges and is available in a variety of configurations, five finishes, and 13 countertop options. 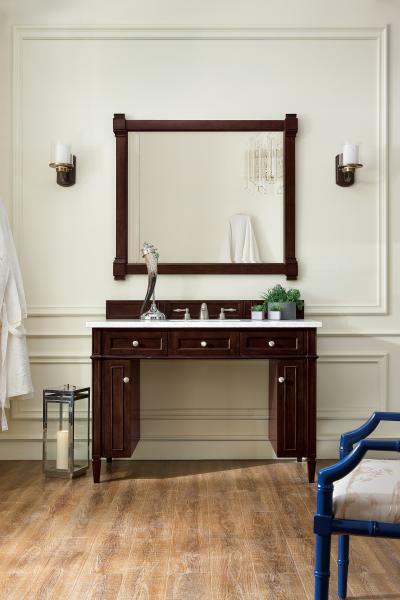 The 48-inch single bathroom vanity is shown here in burnished mahogany. seat, auto open/close, auto flush, in-bowl deodorizer, and more. 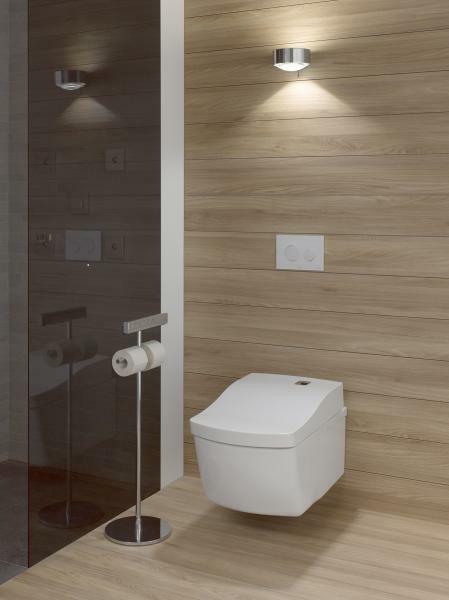 “Being able to have a washlet or a personal bidet system built into the seat of the toilet, that's a great idea for anybody,” Peterson says. Bidets can help individuals with limited mobility maintain independence. 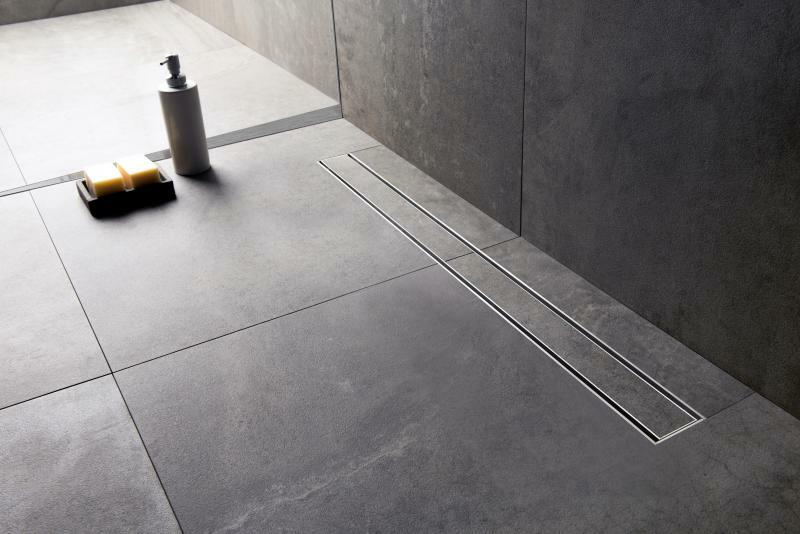 The Modulo linear shower drain from Easy Drain, a brand of the Dutch manufacturer Easy Sanitary Solutions, makes it easier to design curbless showers. The collection features eight models for different placements, tile thicknesses, and tile materials. 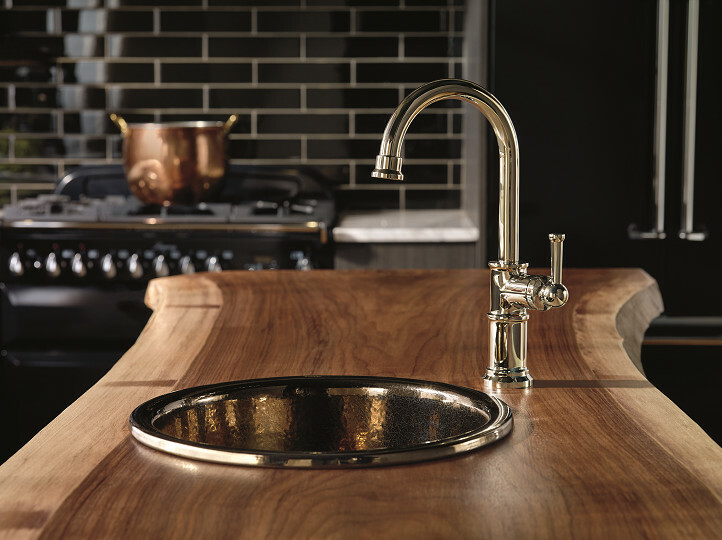 The sleek drains are available in five standard finishes and six special finishes. 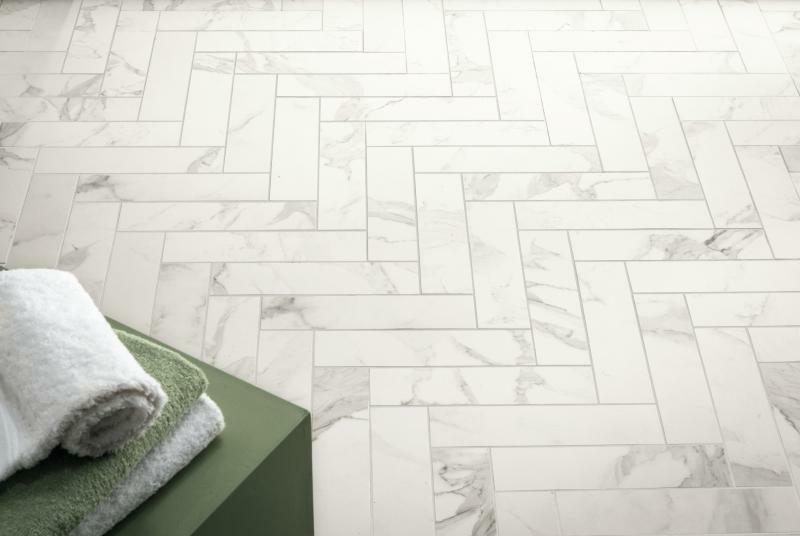 Walker Zanger’s Calacatta Porcelain comes in a variety of formats, including smaller 3-by-12-inch and 2-by-2-inch sizes that allow the floor to have more friction. The marble-look tile is approved for all interior surfaces, exterior walls, and pool lines. Jeld-Wen’s DesignGlide system allows any standard 80-inch door to be turned into a barn door. Available in satin nickel and matte black finishes, DesignGlide hardware fits almost any architectural style, including contemporary, farmhouse, and modern Craftsman. The space-saving door alternative also features soft-close hinges.